1) First of all, preheat the oven at gas mark 3 (160C). 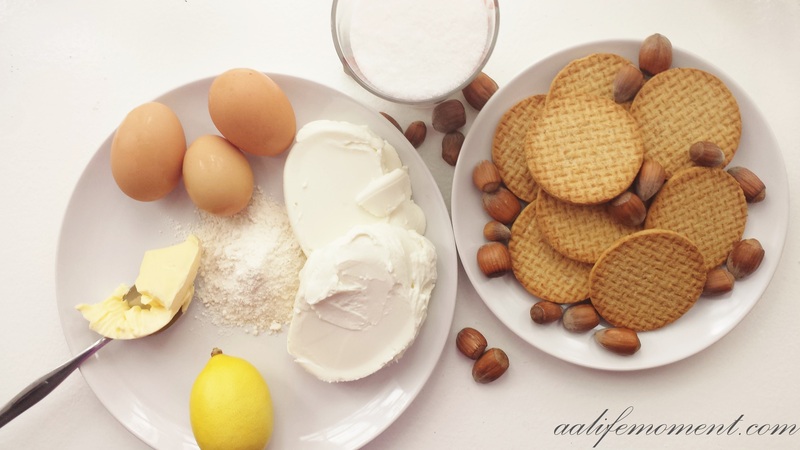 2) Blend or smash the biscuits and the hazelnuts into crumbs and add them in a bowl, then add the softened butter and mix together until every ingredient is fully incorporated. After that, take a spring form pan, place the mixture and press it slightly up at the borders. Then cook the base for about 10 minutes at gas mark 3 (160C). Tip: Please put around the bottom edges of the pan some wrapping foil so that nothing falls out of it. 3) Meanwhile beat with an electric mixer the cream cheese with the sugar, vanilla and lemon juice until you have a smooth and a creamy consistency (please make sure to beat it on a medium-low speed, this way it won’t have any air incorporated and there will be no lumps). Then add the eggs one at a time making sure to scrape the batter with the spatula, when all the eggs are added mix again to make sure everything is blended well then add the flour and mix again. 4) Remove the crust from the oven after 10 minutes but let the oven on. Let the crust cool down for about 15-20 minutes then add the filling. Cook everything for about 55 minutes but make sure NOT to open the oven for at least the first 45 minutes, after the 55 minutes check if the cheesecake is cooked at the borders and slightly giggle in the center. Then turn the oven off and don’t take the cheesecake out of the oven until it is completely cold this way there won’t be any brusque temperature change and this will avoid any lumps. Once it is cooled place it on the fridge and leave at least 5 hours or overnight. 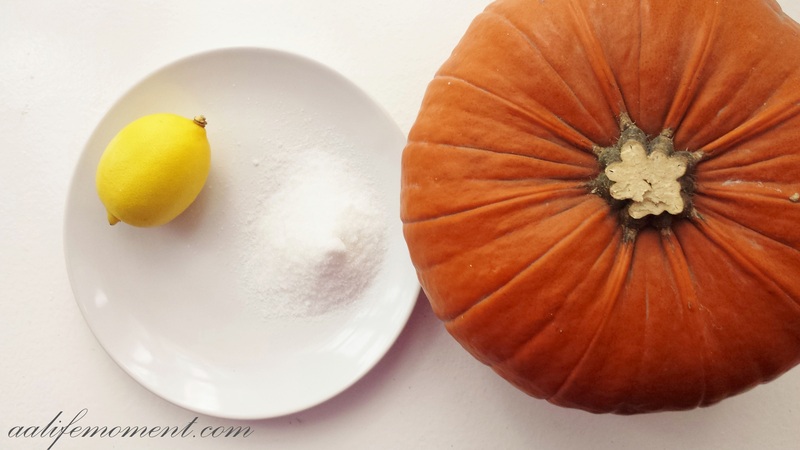 5) To make the special and yummy pumpkin cream all you need to do is cut the pumpkin into small pieces and put it on a sauce pan then add the sugar, lemon juice, 2 glasses of water and cook until it is creamy and no water is left. Leave to cool for about 20 minutes. After that take the cheesecake out of the fridge and add the pumpkin topping on the top. Tip: Cut the cake with a warm knife and store the dessert in the fridge. 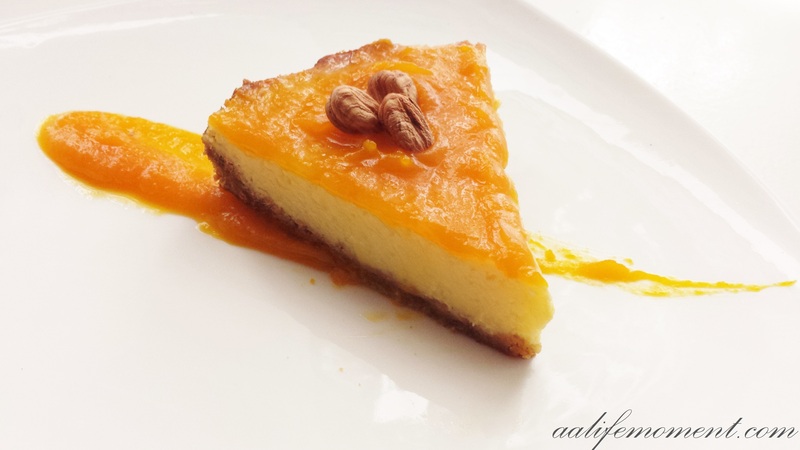 Please try this recipe I am sure you won’t be disappointed by the results as this is a distinct way of reproducing a traditional dessert such as the cheesecake and it is perfect for the upcoming holidays. Amazing combination!! I gotta try it sometime 😀 looks delicious…perfect for winter time!! Looks delicious – so lovely and simple! 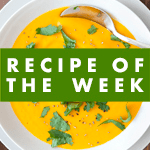 I really like the concept of the pumpkin cream – and am wondering about trying it with roast pumpkin. Now I am also curious about candying pumpkin seeds! Thank you so much for your nice words! I really do appreciate! Roast pumpkin seems like an amazing option! What a positively beautiful creation. And your lead up photos are wonderful! This is a treat for the eyes as well as the palate. I must admit, I’ve grown a bit tired of the classic pumpkin pie over the years. Your fresh take on the concept looks like it could revive my enthusiasm! It looks really delicious. Thank you so much Hannah for the nice words, I am really happy you find this cheesecake version interesting, please do give it a go. Traditional recipes are a good start but if you add fresh twist than it makes them even more special. Aww thank you so much for this lovely comment. I am really happy you like it, thank you again! Please do give it a go! Looks good! 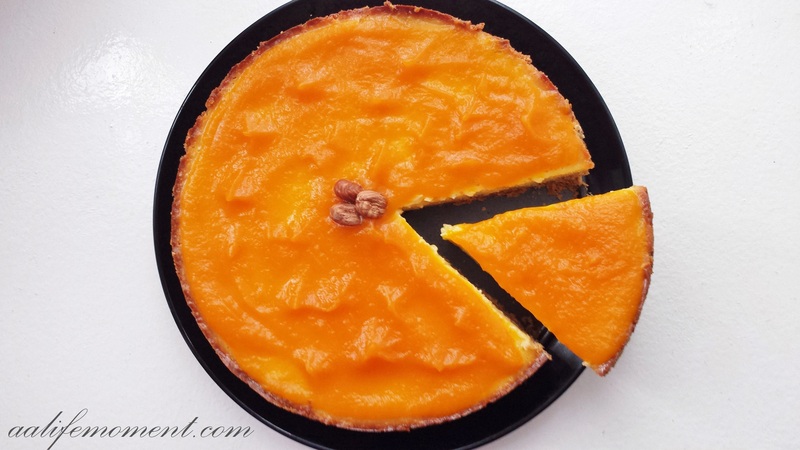 I am making a passion fruit/ mango cheese cake for a dinner on Friday, any suggestions? You have really awesome recipes and pictures! I will have to try some of them and this cheesecake is in my top 10. Thank you so much NoChef for the very kind words and checking my blog. 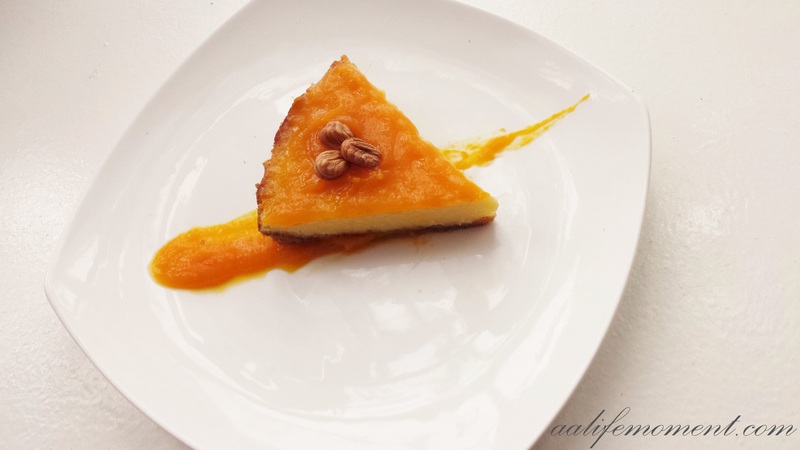 Please try the cheesecake recipe it is delicious!